"I accidentally deleted all photos on my iPhone 6. They are also lost from recently deleted and the worst thing is I did not save them in my iCloud backup! I was just wondering if anyone knew any recovery software that is free that would allow me to find the missing files and if they've not been overwritten? " -asked by Safinaz from an Apple forum. 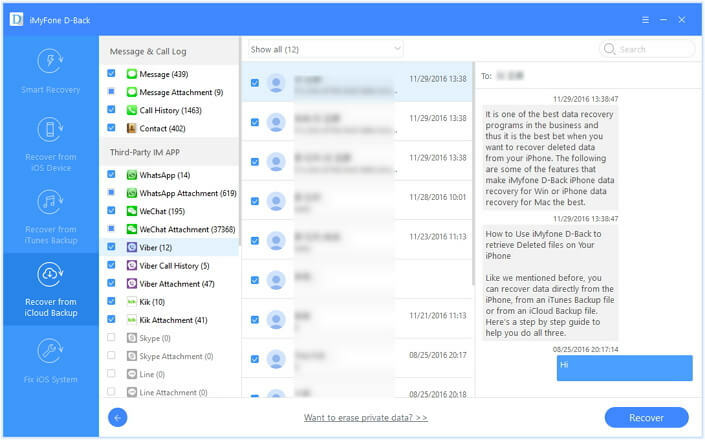 Like the above user, there are some individuals that have accidently pressed delete button and some important files have been lost from their iPhone devices. There is a misconception among people that if the data has not been backed up, it cannot be recovered. Actually it can be recovered. Part of Apple users are looking for some free data recovery software recently. There are a lot of online software available but none of them is completely free. Fortunately, there are a few platforms that allow you to preview or recover a small portion of the data. Here we have the best free iPhone recovery software reviews. 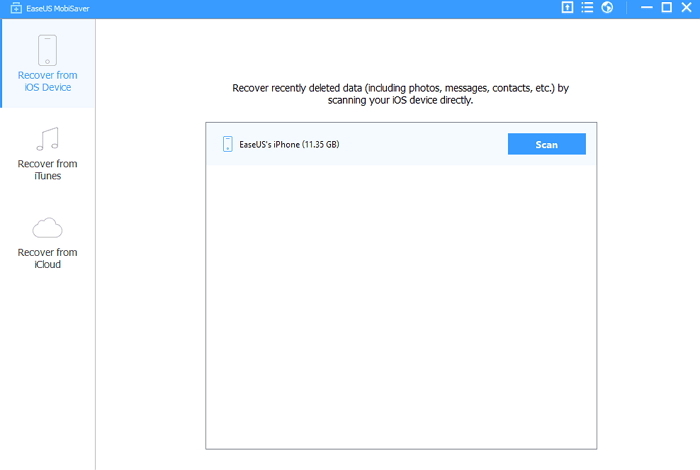 Why We Need an iPhone Data Recovery Software? Most of the people are carrying their entire life on cell phones. From their images to important documents, everything is stored in their iPhone. However, the electronic devices can be very unpredictable. A wrong move might make all your data disappear like it never exists in your phone. We all know that there are several reasons that your data can be deleted from the iPhone. The worst is that sometimes you do not have any iCloud or iTunes backup. In this situation, the best solution is to rely on an all-in-one iPhone data recovery tool. Make sure that the free any iPhone data recovery software you are planning to use is safe to download. Analyze the file first before installation to see if it contains any kind of malware or virus. 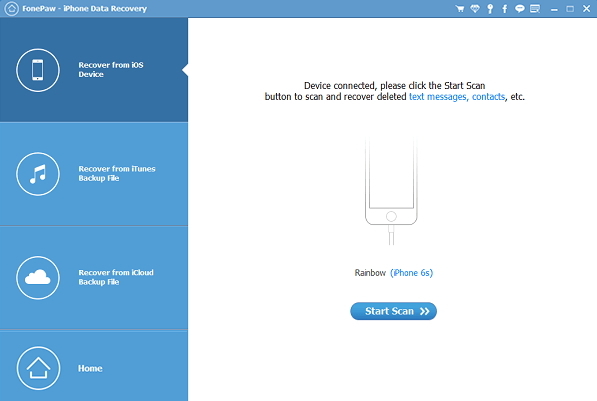 A powerful iPhone recovery software you are planning is supposed to be compatible with all the models of iPhone, as well as your computer operating system, so that you can easily recover the data. One of the most important things to consider is that the software should recover different types of data. The ability to restore various types of iPhone data is also a crucial factor. Here is the top free iPhone data recovery review you should consider. 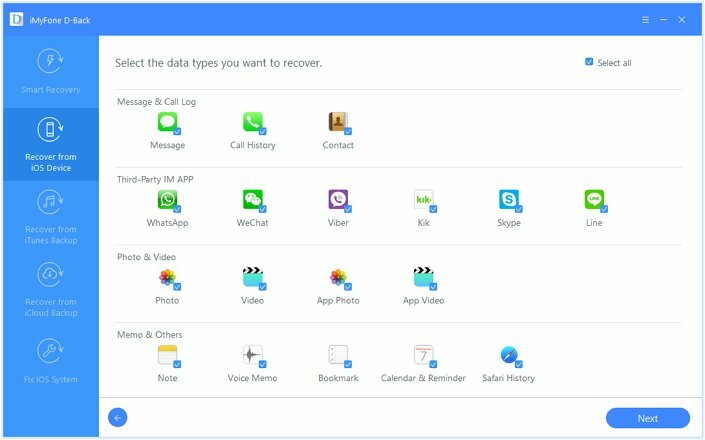 iMyFone D-Back iOS Data Recovery software is a reliable and authentic data recovery software that allows you to recover deleted files from iPhone/iPad/iPod Touch. Simply select the items you want to recover and you will get them back. Before get the full version, it is free for your to use the trial version for scanning and previewing. 18 different file formats are supported, such as message, call log, contact, WhatsApp, WeChat, Viber, Kik, Skype, Line, photo, video, note, voice memo, bookmark, safari history, calendar & reminder and more. Four recovery modes to help you quickly recover the files, like Smart Recovery, Recover from iOS Device, Recover from iTunes Backup and Recover from iCloud Backup. Compatible with the latest iOS 11 and iPhone X/8/8 Plus. Supported OS: Windows 10, 8, 7, Vista, XP (32-bit & 64-bit); Supported OS: Mac OS X 10.13.1, 10.12, 10.11, 10.10, 10.9, 10.8, 10.7, 10.6. Available at an affordable price of $49.95. Recover lost data for various reasons – accidental deletion, system crash, factory reset, virus attack, etc. It is 100% secure to download and you’re allowed to preview the files before recovery. Do not save recovered data directly to your iOS devices to prevent overwriting. You’re only allowed to preview instead of recovering with free trial version. 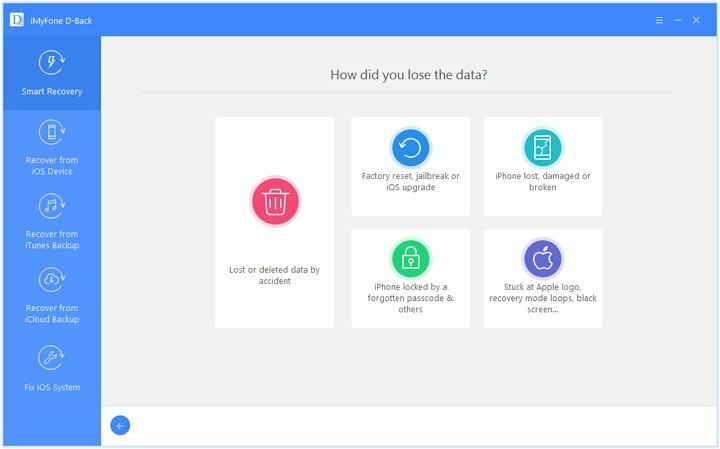 EaseUS MobiSaver is also an iPhone data recovery tool that you can use to get back different types of files from the backup of your iPhone. 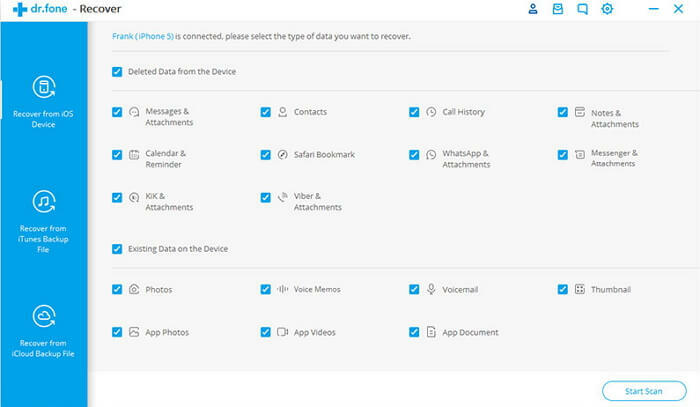 It can recover multiple files like photos, contacts, SMS and photos. Upgrade available to meet the requirements of your iPhone’s iOS 11. Supported OS: Window 8.1, 8, 7, Vista, XP ((32-bit & 64-bit); Supported OS: Mac OS X 10.10, 10.9, 10.8, 10.7, 10.6 (32-bit & 64-bit). With unregistered version you cannot recover any files. Only 12 data types are supported. Dr.Fone iPhone Data Recovery is also an alternative of iPhone recovery software and it readily grabs the users’ attention. Text messages, contacts and SMS can be directly recovered. 16 types of data can be retrieved like contacts, photos, messages and more. Supported OS: Windows 10, 8, 7, Vista, XP (32-bit & 64-bit); Supported OS: Mac OS X 10.13, 10.12, 10.11, 10.10, 10.9, 10.8, 10.7, 10.6. Recover the files directly from the device. The document files might not get recovered completely. Less data types are supported. It is easy to use and secure software that can be utilized on all Apple devices for recovering the data. The tool is compatible with all iPhone models and you will not have to deal with any issues while covering the data. It has 3 different recovery modes for scanning. Support 19 file types like messages, videos, audios and more. It is available at affordable cost of $69.95. You can skip scanning the existing files. It takes extra time to scan the files and the size of software is large. Tenorshare iPhone Data Recovery is a reliable software that is perfectly compatible with all types of iPhones and the latest iOS. It is upgraded on regular basis and you can easily recover all types of data from the platform. All 20 types of files can be recovered like Snapchat and Tango. Three recovery modes are available. Sync with messages and contacts to devices. You cannot preview the scanned files before recovery. After consulting the free and best iPhone data recovery review, you may have selected the best software. Here is the step by step guide to help you recover your lost data. 1. 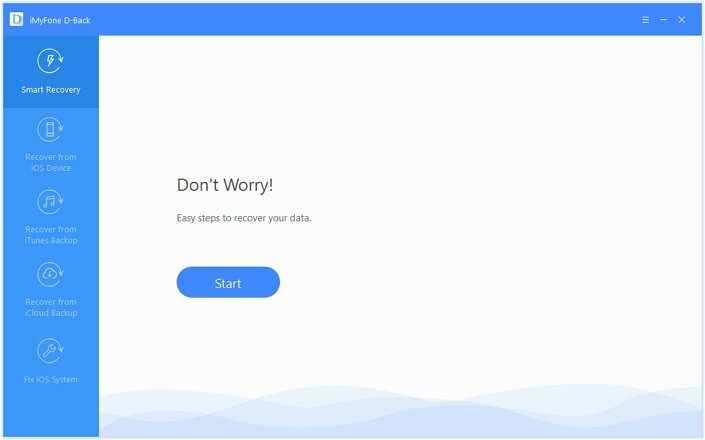 Install and run iMyFone D-Back iPhone Data Recovery software on computer according to your computer’s operating system. 2. Connect your iPhone to your computer and choose a recovery mode you prefer. 3. Start to scan and choose the file types you need. 4. Preview and select the one you want to recover them on your computer. It is better to use the trial version first because you can easily understand how it works. The free versions always fulfill the basic requirements for users. Then you iPhone users can feel free to pay for the full version. 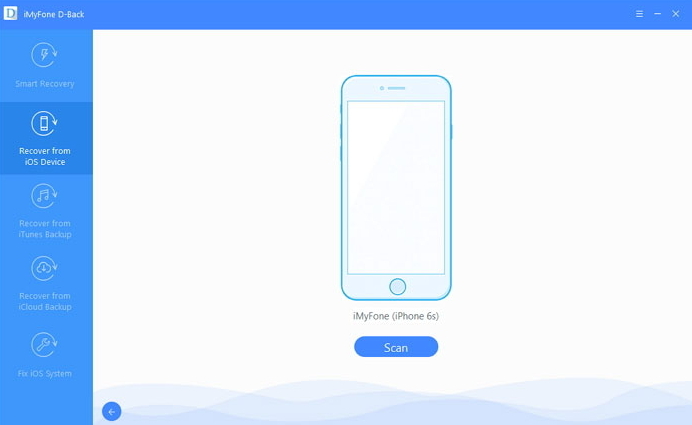 iPhone data recovery tool review shows that iMyFone D-Back iPhone Data Recovery is a better choice you can have. Within seconds you will have your entire data recovered. Even if you want to buy the package it is available at the most affordable price with various data types. 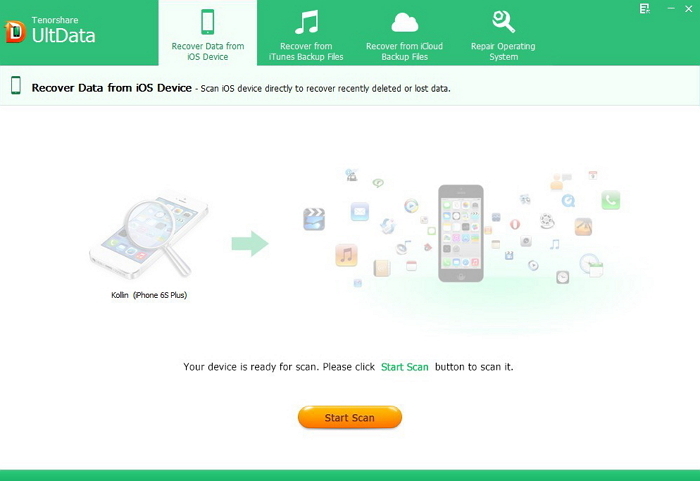 iPhone users who are finding a free iPhone data recovery app or software cannot miss this.